Xuanxuan Li knows a little something about faking it till you make it. The Parsons The New School for Design student is the winner of the school’s first-ever faux-fur competition, which it launched in partnership with The Humane Society of the United States and Donna Salyers’ Fabulous Furs August. 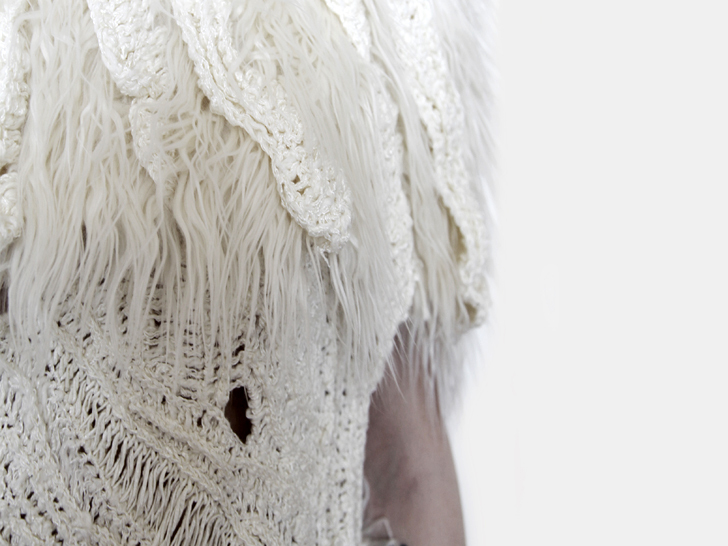 Li, who was selected by a panel of judges that included designer John Bartlett, will receive $1,500 in scholarship money for her designs, which juxtapose feathery pelts with open-knit fabric. For inspiration, Li turned to the 1990 movie Edward Scissorhands. “I watched the movie like four or five times, and finally realized that beneath the rigid cloaks were soft feelings of romanticism,” she says. The contest challenged students to develop faux-fur designs within the categories of women’s wear, menswear, children’s wear, or accessories for inclusion in their senior thesis or other major studio project. The Humane Society has been educating Parsons students about the issues associated with animal fur since 2009. Xuanxuan Li knows a little something about faking it till you make it. The Parsons The New School for Design student is the winner of the school's first-ever faux-fur competition, which it launched in partnership with The Humane Society of the United States and Donna Salyers' Fabulous Furs August. 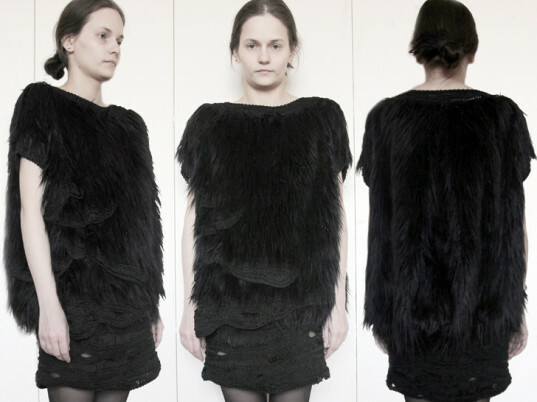 Li, who was selected by a panel of judges that included designer John Bartlett, will receive $1,500 in scholarship money for her designs, which juxtapose feathery pelts with open-knit fabric.